As a coffee lover and and a lover of things Spanish, I travel frequently to Spain and Mallorca and indulge my passion for Torrefacto coffee. As I write this, a flight has already been booked for my next trip to Palma in a couple of weeks. This roast was made just into second crack at a temperature of @ 216C. It is a moderately light roast compared to the Robusta that I roast which is roasted darker to @230 and held for a while. The Robusta is added to a selection of dark roast berries and blended for espresso. Sometimes as many as 6 different varietals are used to achieve the right balance of bitter/acidity/sweetness which is controlled and changed through the espresso machine. I find Torrefacto works AMAZINGLY well in milk drinks. The development of the sugar coating and the addition of the steamed milk is mindblowingly good. I dont claim its the best way, it works and its consistent and its as mess free as possible, which in my way of thinking is a good thing when working with sugar and syrups. Back to the Torrefacto. I added 40% of the Colombian glazed beans to Colombian 5 day old roasted berries, and ground for usage in a Siphon coffee pot. (The Torrefacto does NOT ruin your grinder or cause any problems at all). As I poured into the cup the aroma was fresh and bright. I usually add sugar to my coffee, and this time did not need to. There was not the heaviness of sweetness that sugar imparts, yet there was enough to carry the coffee ‘as is’ to suit my taste. The Torrefacto in the roast, reduces acidity in the coffee berry and makes for a mellowness without losing the fullness of the taste. 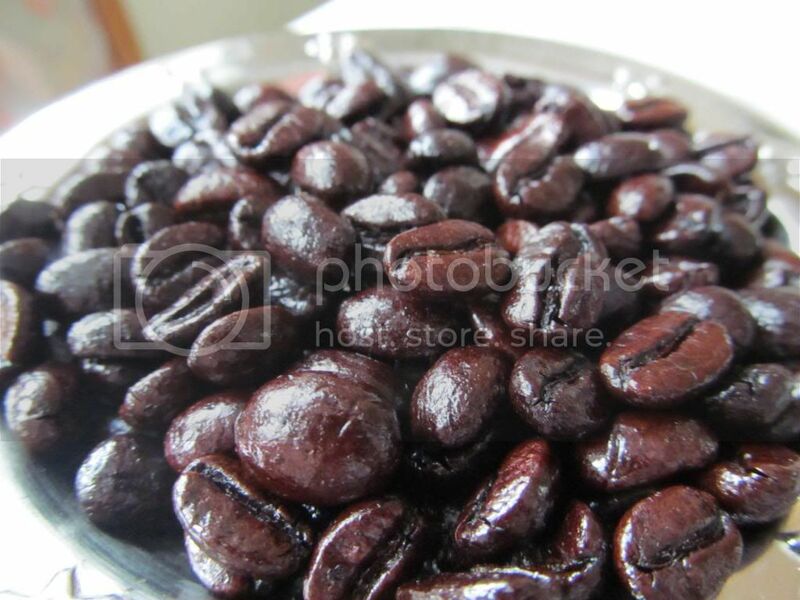 Did the age of the glazed beans cause a problem with tasting stale? No! the sugar preserved well. I will be making a video of the process in due course.